Welcome to my website! I hope you’ll browse through to read more about how I turned my own childhood into the inspiration for my book, Precious Bones. 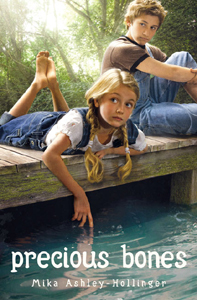 Ten-year-old Bones lives with her parents on the edge of a magniﬁcent Florida swamp. Bones’s father, Nolay, who is part Miccosukee Indian, is wise, but he’s also as inquisitive and mischievous as a raccoon. Her mama is as practical as corn bread. With an assortment of animals, including Pearl, Bones’s pet pig, the family lives a peaceful, happy life. Read more.